Linda grew up on a small farm in Southern Minnesota. She valued hard work, perseverance, and not giving up. Her farm background taught her a good work ethic. She worked several part time jobs back then and she also worked at a local hospital. She moved to Mankato 25 years ago and had an opportunity to work at the local clinic. She then studied at Minnesota State University for a 4-year degree in Accounting. At that time, she was a full-time manager at the clinic while completing her accounting degree. In 2012, she was separated from her husband after approximately 40 years of marriage. They divorced the following year. “I went through counseling with my divorce process and was referred to Life-Work Planning Center,” Linda recalled. She stated, “During that time I didn’t feel like I could make it on my own going through a divorce.” “I felt so lost and I needed to find myself.” “My self-esteem was very low because I went through emotional and verbal abuse in my relationship,” she added. Throughout Linda’s time working with Life-Work Planning Center as a displaced homemaker, she learned the importance of setting healthy boundaries and self-esteem by attending a 6-week personal growth workshop series. “The workshops also taught me to work on myself and focus on myself, ”Linda said. “It gave me direction while I was in transition,” she added. Most importantly, “it also helped me cope with being alone and to actually like being alone.” Linda added, “I realized that it’s okay to be alone.” “I also attended LWPC financial literacy workshops,” she added. 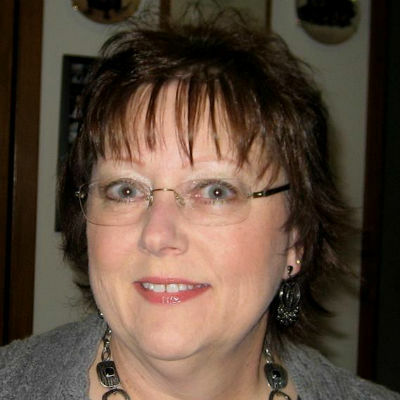 While attending the workshop series, Linda was working as a transcriptionist for Mayo Clinic and got laid off. Her job was outsourced and then she went with the new company to do transcriptionist work. During her time with Life-Work Planning Center, she also participated in the “Encore – Business Women Professional Program,” a program that partners with LWPC and other service providers to offer area women appropriate work attire and supportive professional women as connections. Linda was able to get clothes at no cost that she could use in a professional setting. Today, Linda is still working as a Medical Transcriptionist for the same company. She also found the courage to go back to school. She is currently taking college classes at Rochester Community College for Certified Cancer Registrar. She works as a tax preparer during tax season part-time.